The calibrator SM 04 is another side quest in Deus Ex Mankind Divided. Just like SM 03, you’ll also get this one from Koller. 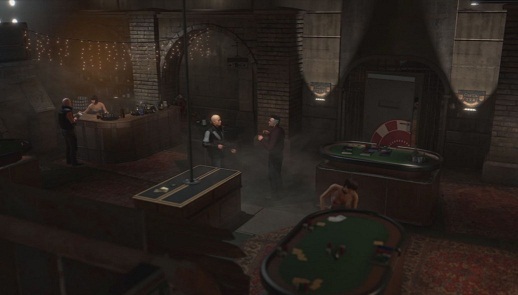 Your first task as part of the side mission SM 04: The calibrator is to travel to Cista Ctvrt and there you have to talk to Otar Botkoveli in his underground casino. Take subway and go to the blue station upper left corner of the map. There you reach the underground casino via the sewer, lift the manhole cover to the side and climb down the ladder. You can easily open the door and listen to the conversation between Botkoveli and his supporter. Of course you have the possibility to get secretly into the premises and steal the calibrator, but you should better talk with Botkoveli because this will open the gates for other quests. The conversation you heard before will help you to deal with Botkoveli. If you answered all three cases correctly, then you get the calibrator from Botkoveli. However, he calls for a favor and he will get back to you as soon as he wants to request this. Accept his proposal. The calibrator will disappear from your menu and you hear quite a while nothing from Botkoveli. - In Golem: First, if you are traveling in Golem, he will give you contact via Infolink and ask you to kill a dealer on the market. Here you should not act too quickly, you can warn the dealer Gallois about Otar’s intension; so that you can get access to the ARC territory. - Back in Prague: Otar responds with another matter with you, and then, another POI added (POI: One last favor) to your menu. Follow this waypoint and speak with Masa Kadlek. Thus, the ninth side quest starts in Deus Ex: Mankind Divided.